My mom is a crazy fan when it comes to avocados. And I’m not lying when I say that she can eat several in one sitting, at any time of day, by themselves or as a side dish. And don’t even get me started with guacamole, she loves eating it with everything, steak, chicken, arepa, whatever she can think of. I, on the other hand, don’t get crazy about it as she does but when it’s served over an arepa with chicharrón (Colombian fried pork belly), I’m in heaven. 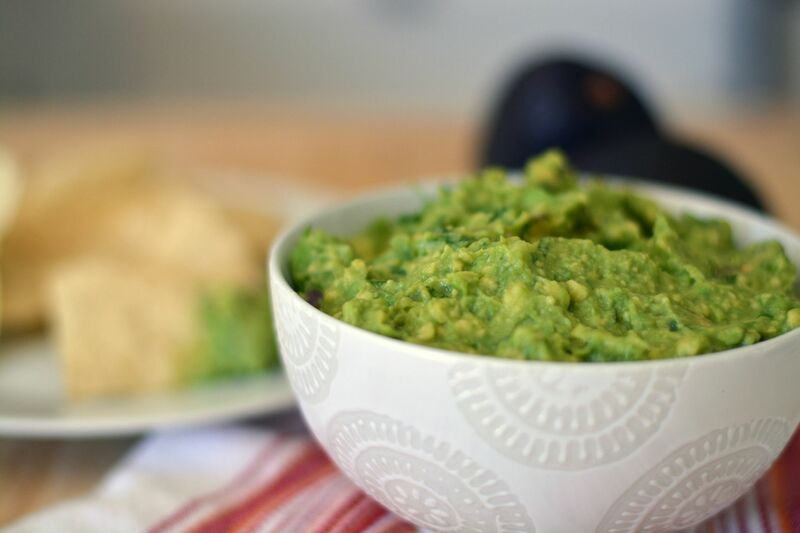 Making guacamole is one of those things that you can make in less than five minutes and that’s why I always make it whenever we’re grilling something at home, especially in the summer. What’s interesting is that there’s a ton of recipes to make it and they’re all very similar, but each one has it’s special flavor. I’ve seen it with all kinds of onions, as well as cream cheese and even mixed with hot salsa. 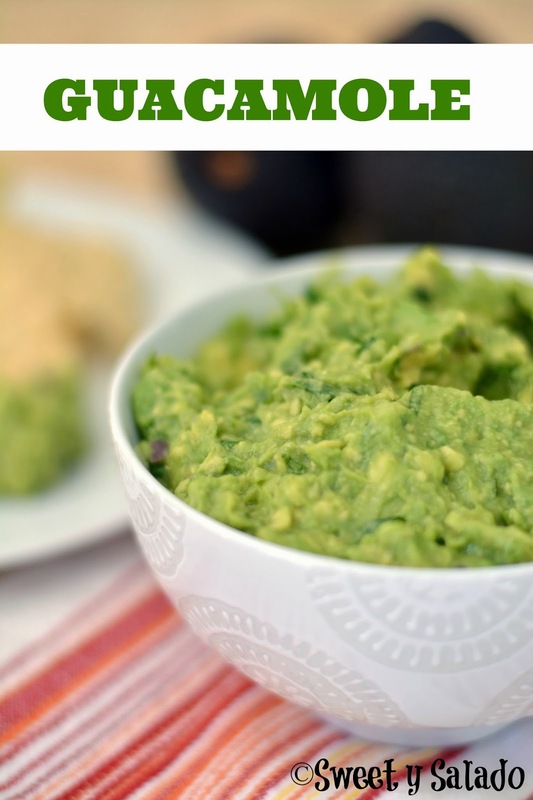 I hope you enjoy this version of guacamole as much as my family does. It’s actually very simple to make but each ingredient gives it a lot of flavor. Cut open the avocados and remove the pit. Remove the pulp with a spoon and place it in a medium bowl. Mash the avocados with a fork until you reach the desired texture. 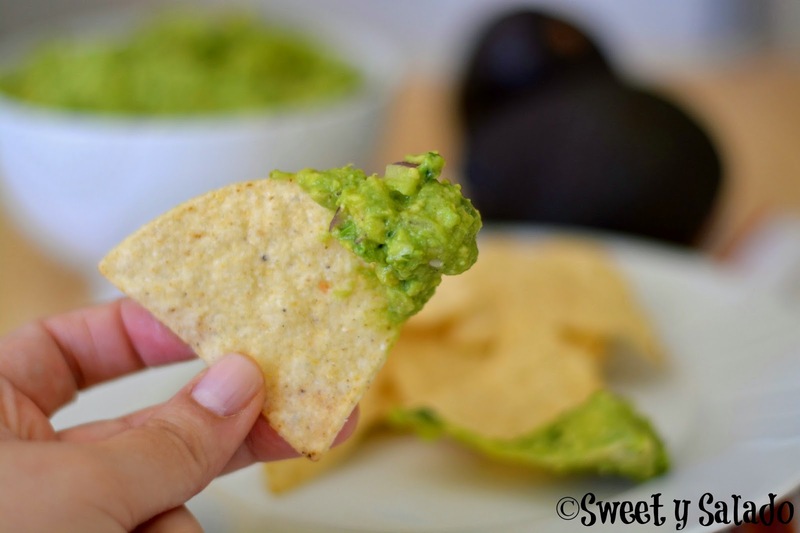 The more you mash them, the creamier your guacamole will be. Add the jalapeño, cilantro, red onion, garlic, salt, pepper and lime juice. Mix well and serve immediately. If you want to refrigerate it, you can store it in an airtight container. You can also cover it with plastic wrap, making sure it touches the guacamole. Then, cover the whole container with another piece of plastic wrap, this way you can guarantee that it won't turn brown.